In 1941, with only about twenty families of Greek origin in Charlottesville, a women’s club was formed. While the men focused on incorporating the community in order to purchase a building for a church and recreation center, the women undertook projects such as sponsoring a war orphan and serving as a philanthropic organization aiding many members of the Armed Forces. It wasn’t until 1945 that our club established its By-laws, Constitution and adopted its present name the Ladies Progressive Society. We are always looking for new members. 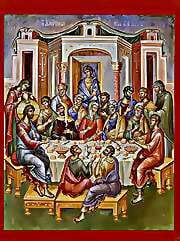 We meet the first Sunday of the month, September through June, in the Hellenic Center, following the Divine Liturgy.